The French master of candid photographyHenri Cartier-Bresson (1908-2004)helped define the modern photography inspired by his humanist background. Founding member of Magnum Photo Agency in 1947 with Robert Capa, he is renowned for his ability to discreetly capture, with his tiny Leica camera, some fleeting daily life instants as well as big historical moments. He traveled across the worldand was inspired by people from different cultures. Henri Cartier-Bressonis also considered as one of the main contributors for bringing the world into our own home. One of Henri Cartier-Bresson’s greatest admirers, Peter Fetterman, collected a large part of his photos during his lifetime. It is with a lot of emotion that the collector gives up one hundred and twenty shots of his dear friend during an international tour in London, Los Angeles, Paris and now New-York. The auction will take place at Phillips on Tuesday, December 12th but it is possible to visit the exhibition Henri Cartier-Bresson: The Eye of the Century from 4th to 12th December. I learned and lived with these photographs, now it's time for me to pass onthem to other generations of collectors, photographers, and create new projects, says Peter Fetterman who loves Buddhist philosophy. Some of his photos include well-known photographs such as Behind the Gare Saint-Lazare, Paris(1932) or Hyères, France (1932) but also less known like Country Kerry, Ireland(1952)or Easter Sunday in Harlem, New-York (1947) presented below. Through his black and white photos captured over the "decisive moment", Henri Cartier-Bresson make us travel over the globe. “I've never travelled to Russia or India, but these photos allow me to do so and to learn about the world and how people live”, said the collector. One of the first pictures that Peter Fetterman bought of Henri Cartier-Bresson is a famous and very emotive photo which depicts Muslim women praying on Hari Parbal Hillin front of the Himalayas. 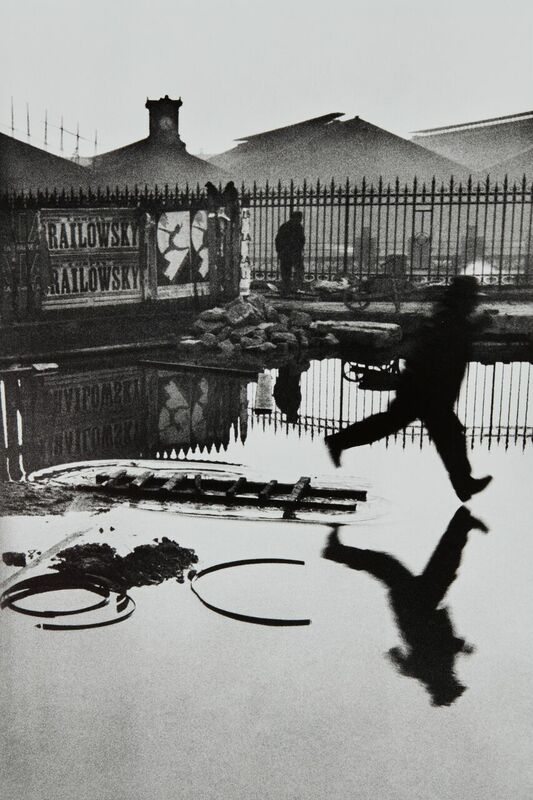 Human is at the center of Henri Cartier-Bresson's works. Large majority of his photos deal with links between people, social range or human communities. However, some of them leading us into beauty world with landscapes, streets or cities and make it an inexhaustible source of inspiration. To better understand the artist, immerse yourself in the Raphaël O'Byrne's documentary entitled Henri Cartier-Bresson - Just Plain Love.